You can’t detail with McKee's 37 unless you’re WEARING McKee's 37! 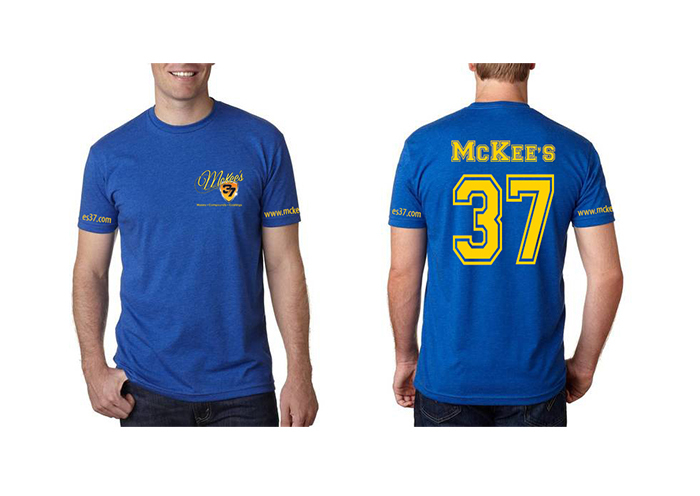 McKee's 37 Jersey T-Shirt shows the world you are serious about one thing – quality car care. Whether you are a professional detailer, or someone that just likes to wax on the weekends, your McKee's 37 Jersey T-Shirtt proves your capability and success. Made from a blend of 60% cotton and 40% polyester, McKee's 37 Jersey T-Shirt features a screen-printed logo on both the front right breast and a larger 37 logo on across the back. While you’re stocking up on your favorite McKee's 37 Car Care Products, make sure you grab your matching McKee's 37 Jersey T-Shirt!